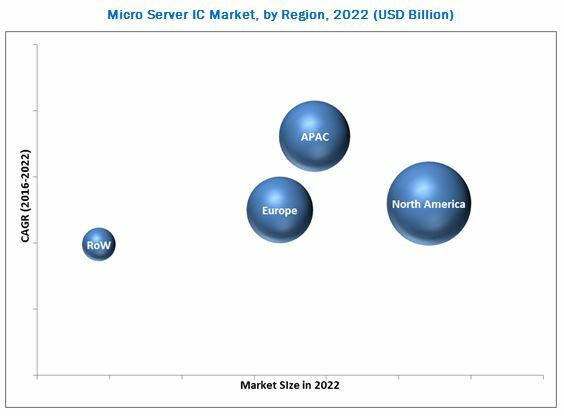 [151 Pages Report] The global micro server IC market is expected to reach USD 1.35 Billion by 2022, at a CAGR of 44.0% between 2016 and 2022. During this research study, major players of the micro server ecosystem in various regions have been identified and their offerings, regional presence, and distribution channels have been analyzed through in-depth discussions. To find the overall market size, top-down and bottom-up approaches have been used to estimate the sizes of other individual markets by using percentage splits from secondary sources such as Hoovers, Bloomberg BusinessWeek, Factiva, and OneSource as well as primary research. The entire procedure includes the study of the annual and financial reports of the top market players and extensive interviews of industry leaders such as CEOs, VPs, directors, and marketing executives for key insights (both qualitative and quantitative) pertaining to the market. 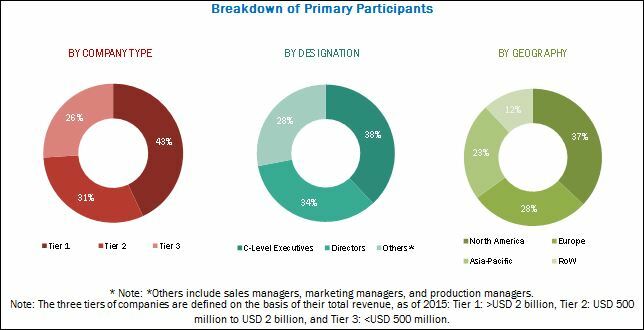 The figure below shows the breakdown of the primaries on the basis of the company type, designation, and region conducted during the research study. The ecosystem of micro server IC market comprises a network of integrated circuit designers, raw material suppliers, micro server designers and manufacturers, system integrator, distributors, and end users, among others. The key companies in the micro server IC market are Intel Corporation (U.S.), ARM Holdings plc (U.K.), Cavium Inc. (U.S.), Applied Micro Circuits Corporation (U.S.), and Marvell Technology Group, Ltd. (Bermuda.). The prominent companies in the markets include the well-established, financially stable, and technically expert players that have been operating in the industry for several years and have diversified product portfolios, proprietary technologies, and strong distribution networks. The market for ARM-based Processor ICs is expected to grow at the highest rate during the forecast period. The company is increasing its collaboration with both foundry companies that have expertise in 14 and lesser nm process technology and software companies to create an ecosystem which would help the company to provide better software solutions. The hardware segment of the micro server IC market held the largest market size in 2015. Hardware constitutes the main part of SoC. The original design manufacturers, Intel and ARM, are focusing on improving the capability of ICs by integrating more components into SoCs such as memory, processor, and storage, among others. This competition is expected to bring more improvements in the capabilities of SoCs in the future. Among all the major end users, the medium scale enterprise held the largest market in 2015. The medium sized organizations are adopting micro server ICs owing to their lower buying and installation cost. In addition, it is easy to upgrade the system if the load increases by simply increasing the server nodes. Thus, medium scale enterprise segment holds the largest market size for micro server ICs. The media storage market held the largest market size in 2015 as the increasing Internet connectivity and digitization is bringing phenomenal growth in digital content and multifold growth in user-generated content. The new high-definition media content such as videos and audios, among others would create ample opportunities for media storage applications, creating a need for vendors to install more energy-efficient micro servers. In terms of geographic regions, North America held the largest market size for micro server IC in 2015. This is because of the presence of key industrial players and the early adoption of new technological advancements such as machine to-machine learning and IoT-enabled devices, which would create the need for more cloud-based services in North America. This would require the establishment of new data centers to support these services. Thus, North America is expected to dominate the micro server IC market during the forecast period. Application-specific nature of the micro server and lack of standard specifications are the restraining factors for the growth of micro server IC market. Intel Corporation (U.S.) is one of the leading companies in the micro server IC market, followed by ARM Holdings PLC (U.K.), providing micro server ICs to address the emerging need of data centers and large scale enterprise applications. The most common strategy in this market is new product launches to offer more advanced applications. Companies are strengthening their product portfolio with new launches by increasing their R&D investments. The key players in this market are increasingly undertaking partnerships and collaborations to develop new technologies. 13.7 Marvell Technology Group Ltd.